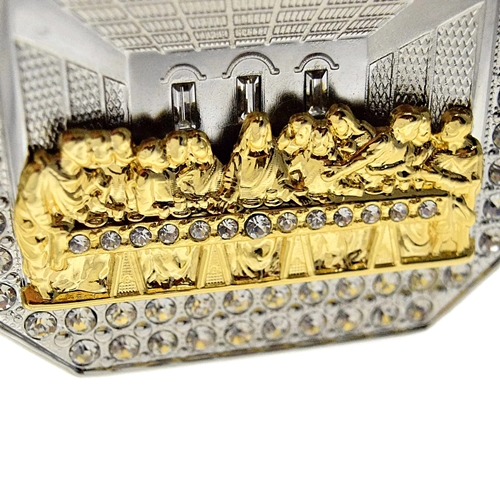 Huge Last Supper octagon iced-out pendant. 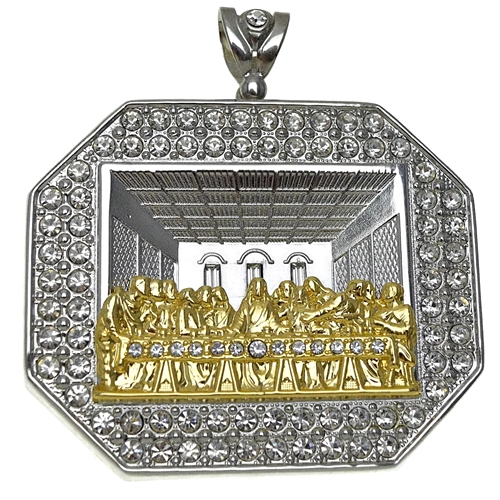 Silver medallion with gold finish Last Supper scene. Nicely iced-out with dazzling round-cut stones. 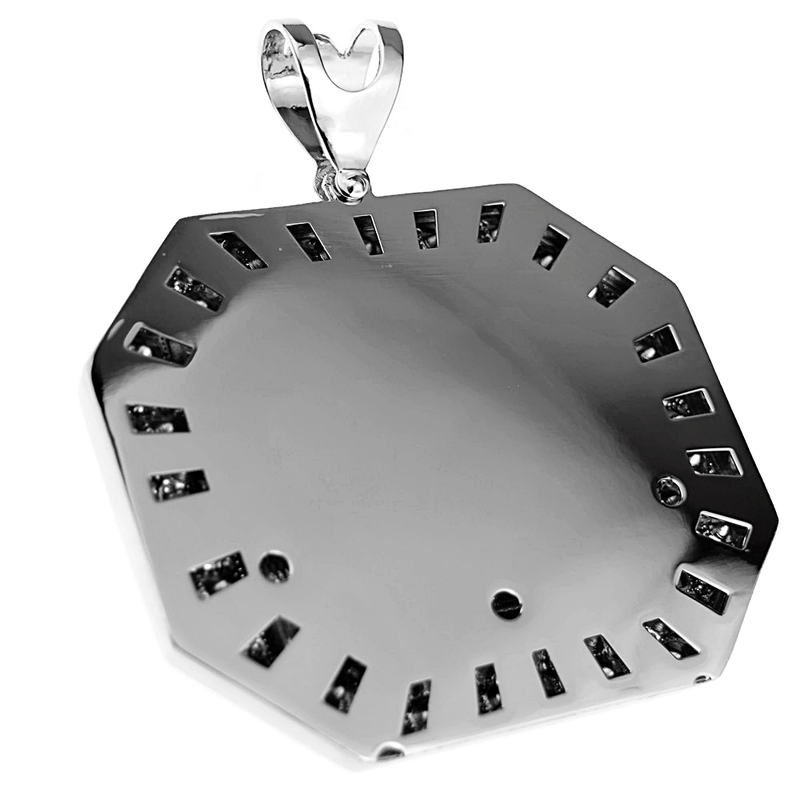 Chunky 110 gram high quality base metal pendant. This huge piece measures 4" wide x 3.25" tall. Ready to hang on a chain of your choice. Bale loop hole will fit up to a 15mm wide necklace. Beautiful 3-D effect adds depth and dimension. 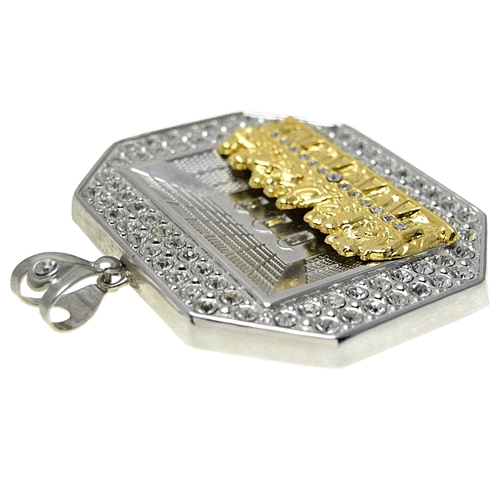 Enjoy 100% FREE SHIPPING in the USA. Order now!